It’s obvious now looking back that the Banda brothers were destined to create escape rooms for others to enjoy. The haunted forts to scare their sisters, the secret room above the kitchen unknown to mom and dad, the tree fort in the town park equipped with secret doors underground tunnels and traps for unwelcome intruders, were certainly all signs of what was to come. Partnering with good friend and businessman extraordinaire David, they have combined their expertise in hopes to bring you all the best in escape room experiences. We offer a very unique facility, containing within it 3 collaborative businesses working together to offer you a special experience. 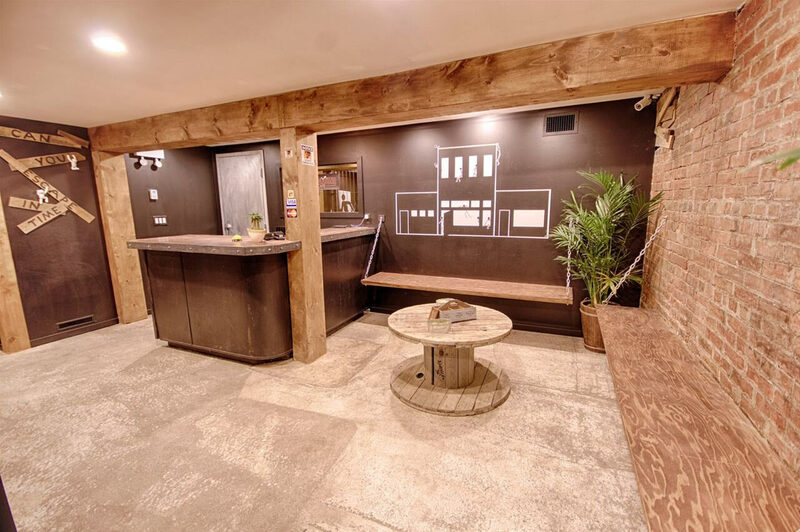 The Underground Escape, Jonny Bean cafe, and the upstairs Urban Venue are here to be enjoyed in part or combined for special events. Contact us to make your custom event happen!